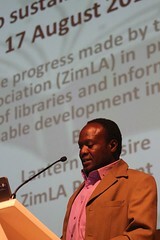 The Zimbabwe Library Association (ZimLA) Conference proceedings are published to update members and followers on the events that took place. The conference is an important calendar event for librarians who seek to share experiences, ideas and exchange contacts. .ZimLA members and delegates can get access to presentations' made at the end of the conference via email based on registered requests with the assigned representative for that conference. ZimLA Research account holders will receive an email or mobile app notification when presentations are available. 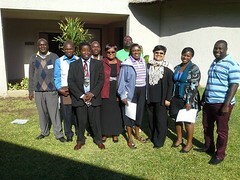 The first ZimLA Annual Conference was held from the --- to the --- of July, 1966 in town, Zimbabwe. The Conference was held under the theme, "....."